We are a full service tree company offering a wide range of tree and landscape related services. The owner Daniel Webb, is a certified arborist and has worked for some of the top tree companies on the East Coast. 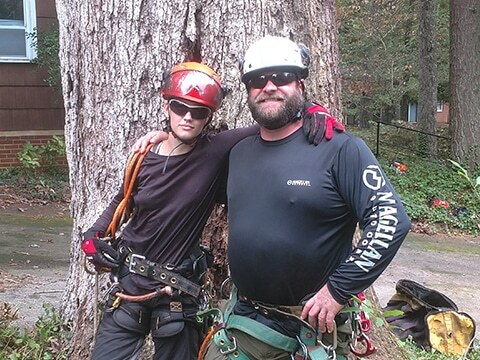 Daniel was the urban forester for Hot Springs National Park in Hot Springs Arkansas and has had extensive training in tree physiology, biology and morphology as well as roping, rigging and technical tree removal. As a teen, Daniel worked on a farm and was out in the woods managing the forest daily. Our estimator, Alan Atkins, has over 30 years in the green industry, with his last 10 years in plant health care. 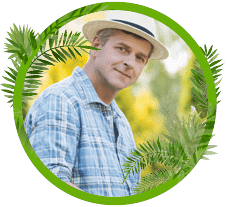 Alan has also worked for two of the leading tree companies in the country and has received extensive education in plant health care, rigging and technical tree removal. Our vision is to provide the top quality tree care at an affordable price. We care about the safety and welfare of our employees, so we cover them with worker’s compensation. Our prices are realistic considering the cost of maintaining the equipment, insurances and doing the job right the first time. 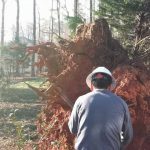 At Southeastern Tree Surgeons LLC, we pride ourselves in being able to handle jobs that others walk away from because they don’t have the skill to perform them. Planting large trees can be a major investment. 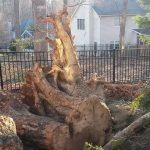 At Southeastern Tree Surgeons LLC, we are committed to giving your trees the best chance for survival. At Southeastern Tree Surgeons LLC, we understand tree physiology, biology and morphology so we not only know what needs to be done, we know why it needs to be done. We are a drug free workplace and only hire people with integrity and a sound work ethic. Each employee is properly trained and expected to adhere to ANSI Z133 safety standards and practices whether the boss is on the job or not. We will never leave our clients in the hands of an inexperienced crew. We treat our employees with respect and we expect them to treat you and your property with respect as well. At Southeastern Tree Surgeons LLC, our mission is to educate our clients about the best practices and raise the standard for tree care wherever we do business. We endeavor to complete all tasks safely. After the job is complete, we make sure to do a thorough clean up and ensure that the area remains as we found it or even better. When the Triangle needs tree care, they call Southeastern Tree Surgeons LLC. At Southeastern Tree Surgeons LLC, we have an uncompromising adherence to standards of quality. We have adopted a culture of excellence that demands our best. We strive to get things right the first time on-time and all the time. We Take Pride In Providing Our Clients With Just About Any Tree Service They Want. I want to thank you and your staff for the excellent tree service you provided this week. The job was particularly challenging: three 120 foot tall trees, two needing to be cut down the other requiring major pruning. Let me list the positive attributes of this extraordinary effort. -The estimating process was very efficient; Alan was a pleasure to work with; he knows his trees. -The service itself was flawless with no collateral damage, which was a impressive considering the location of the trees were near the house and alongside other valuable trees. -The talent and safety consciousness of your tree climbers were particularly impressive. -The tree parts were hauled away efficiently and promptly with a thorough clean up effort. The bottom line is this was an extraordinary effort and we look forward to working with you and your colleagues in the near future. Thank you so much for the excellent job you and your Southeastern Tree Surgeons crew did on my trees. You all were a pleasure to work with. You showed up on time, worked so hard both days, cleaned up everything after the job was completed and made my yard look so much better. I was surprised by how quietly your crew worked. I’m sure I will have more sun in my yard for my flowers in the Spring. While other tree services engage in guesswork and behave unprofessionally, our experts perform every tree service at the highest level of expert skill.